I offer the professional services listed below. I also maintain records of the work I do for you, and advise you on how to schedule regular maintenance of your home’s unique carpet and upholstery. I stay up to date on the latest industry equipment and cleaning techniques. For your home, we use the most effective and safest cleaning solutions avaliable. I am confident and skilled at cleaning fine and delicate upholstery fabrics. I can safely clean cotton, rayon, wool, silk and all of the synthetic fibers. I will pre-test the fabric and advise you on what can be safely done and what results you can expect from the cleaning. The fabric protection on both carpet and upholstery will wear off due to consumer use. I can advise you of where the protection should be restored. Protector can be applied immediately following the cleaning. I use the best and safest products for the carpet and upholstery being treated. Most area rugs require special attention that can only be provided by cleaning in our specially designed cleaning facility. 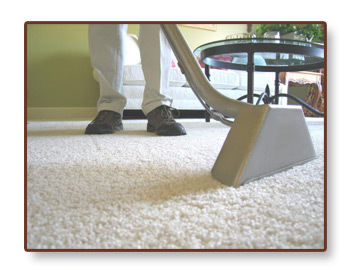 In our facility we have the time, space and specialty tools necessary for cleaning delicate natural fiber area rugs. We are able to control all of the sensitive processes needed to stabilize colors, clean fringes and dry the rugs properly. *If you have a special need that we cannot provide, ask us and we’ll be happy to refer you to a reputable company that can meet your needs.